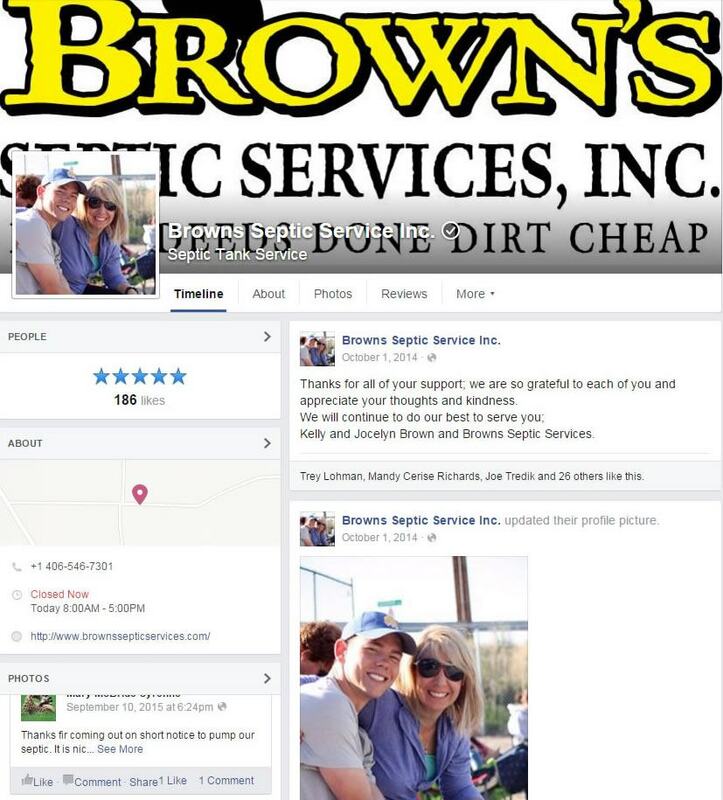 FAQ | Brown's Septic Services, Inc.
Septic systems are designed to provide long-term, effective treatment of household waste when operated and maintained properly. However, most systems that fail prematurely are due to improper maintenance. Less serious problems are usually with plumbing (such as pipe blockages from tree roots growing into the pipe). Sometimes, the septic tank, although durable, can deteriorate or have other structural problems. The most serious problems are the result of a clogged drainfield. Unfortunately, this is the most expensive to repair. Once the absorption field is clogged, it must be replaced. A septic system evaluation can be performed by a septic system professional. WHAT HAPPENS WHEN A SEPTIC SYSTEMS FAILS? HOW CAN I TELL? Maintenance, maintenance, maintenance! If your system has been properly designed, sited, and installed, the rest is up to you. Inspect your system annually and pump as needed (usually every 3-5 years), avoid excess water use, and watch what you put down the drain and flush down the toilet. CAN MY SEPTIC SYSTEM CONTAMINATE MY WELL AND NEARBY STREAMS AND WATER BODIES? Septic tanks are mainly settling chambers. They allow time for solids and scum to separate out from wastewater, so clear liquid can safely go to the drainfield. Over time, the scum and sludge layers get thicker, leaving less space and time for the waste-water to settle before passing to the drainfield. There are limits to the amount of water septic systems can treat. For every gallon entering the tank, one gallon is pushed out. In some instances, too much water may back up into your house or overload the drainfield and surface in the yard. Large volumes of water in short periods of time may also not allow solids enough time to settle, and may be carried out to the drainfield, ultimately clogging the pipes. I’VE HEARD THAT I SHOULDN’T USE A GARBAGE DISPOSAL OR WATER SOFTENER. WHY IS THAT? Garbage disposals have a dramatic impact on how often you’ll need to pump your septic tank. Food particles usually are not digested by the bacteria and accumulate as scum. If a large amount of water enters the tank, it can then push the food particles into the drainfield, causing clogging. If you must use a garbage disposal, make sure your tank is pumped more frequently. Water softeners are particularly common and often essential in our area, but the regular purging of the system pushes extra water and salts/sediments into the tank, and therefore the drainfield. Consider setting your softener on a less frequent purging cycle. I’VE BEEN IN MY HOUSE FOR 18 YEARS AND NEVER PUMPED MY SEPTIC TANK. WHY SHOULD I BE CONCERNED? Over time sludge and scum build up in the septic tank and unless it is removed it will flow into the drainfield, clogging the soil pipes. Once a drainfield is clogged, it must be replaced. It is also possible that you could have a leak in the tank. In either case, you risk contaminating ground and surface water resources, which could affect you or your neighbor’s wells or nearby streams and other water bodies. And finally, you may eventually have a plumbing backup in your home. How often you need to pump depends on the size of the tank, the number of people in the household, and the amount and type of solids. A septic tank should be inspected annually to check for needed repairs and pumped. The name grease trap or grease interceptor is often used interchangeably. These devices are utilized to allow for the separation of fats, oils and greases in wastewater discharges from food service establishments and/or other type grease and oil generating establishments. Such traps or interceptors may be the “outdoor” or in-ground type normally 1,000 gallons capacity or greater, or the “under-the-counter” package units normally referred to as the under-the-counter grease traps.